It’s a name no doubt you’ll chuckle over and remember. 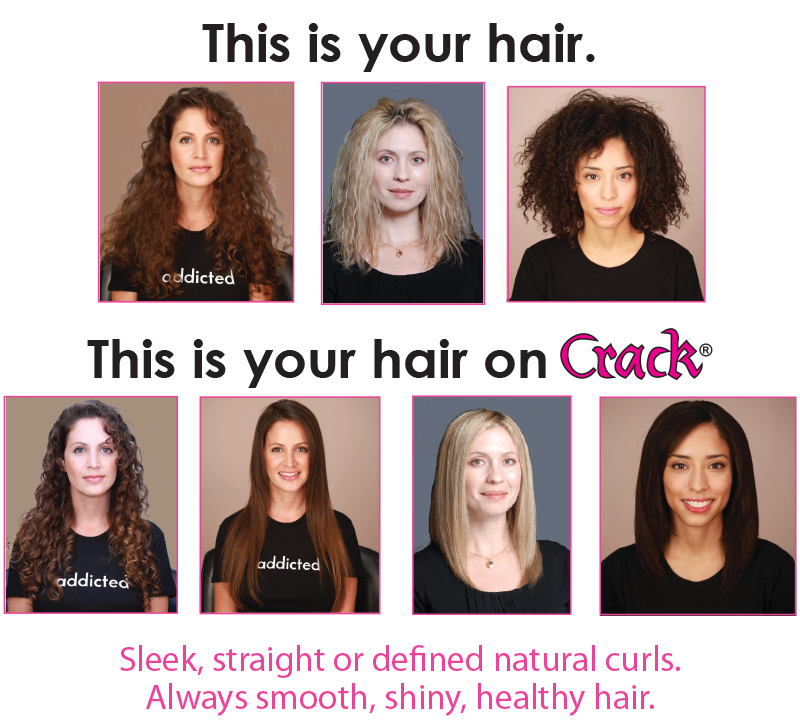 But don’t let it fool you...ProLocks has created a range of unique hair products that instantly and effectively transform keratin-depleted, stressed, frizzy hair to sleek smooth, healthy, shiny dimensions. 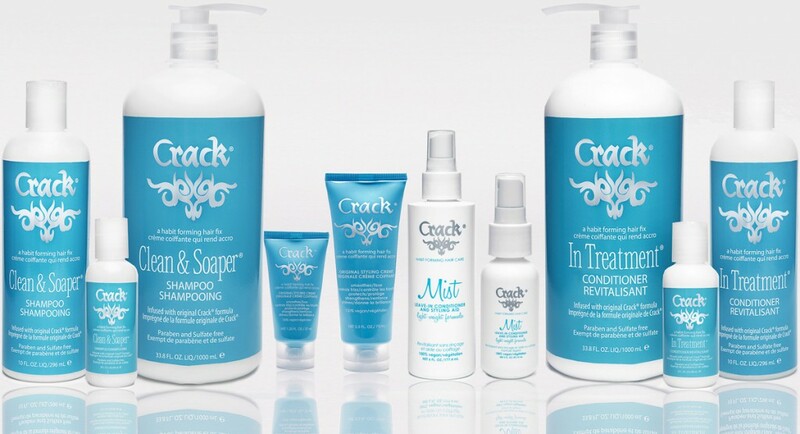 Infused with the original CRACK formula, all CRACK products are designed for all hair types. 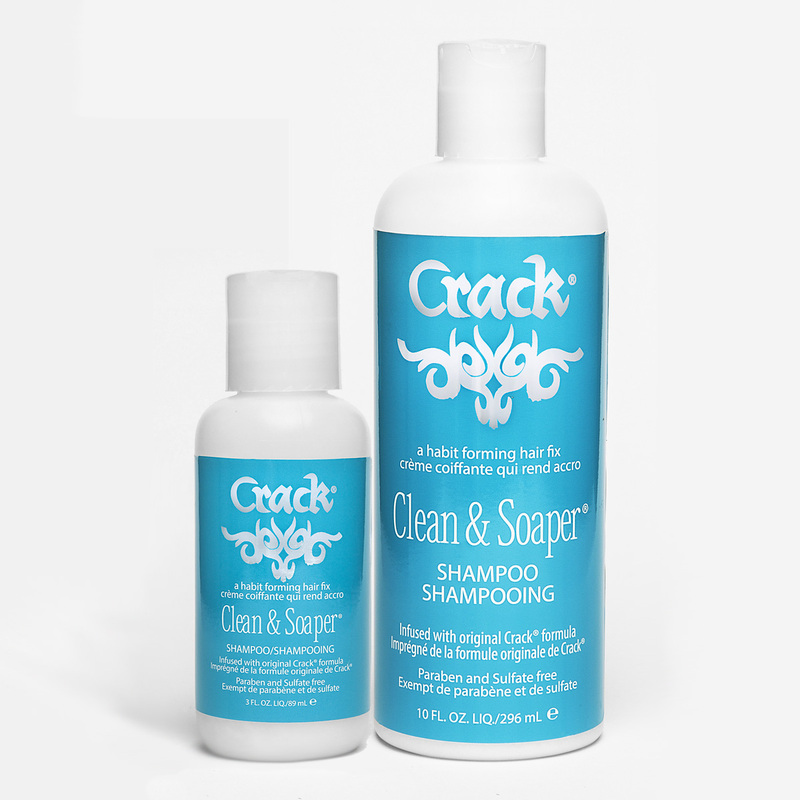 Best of all, they are sulfate and paraben-free and never tested on animals. 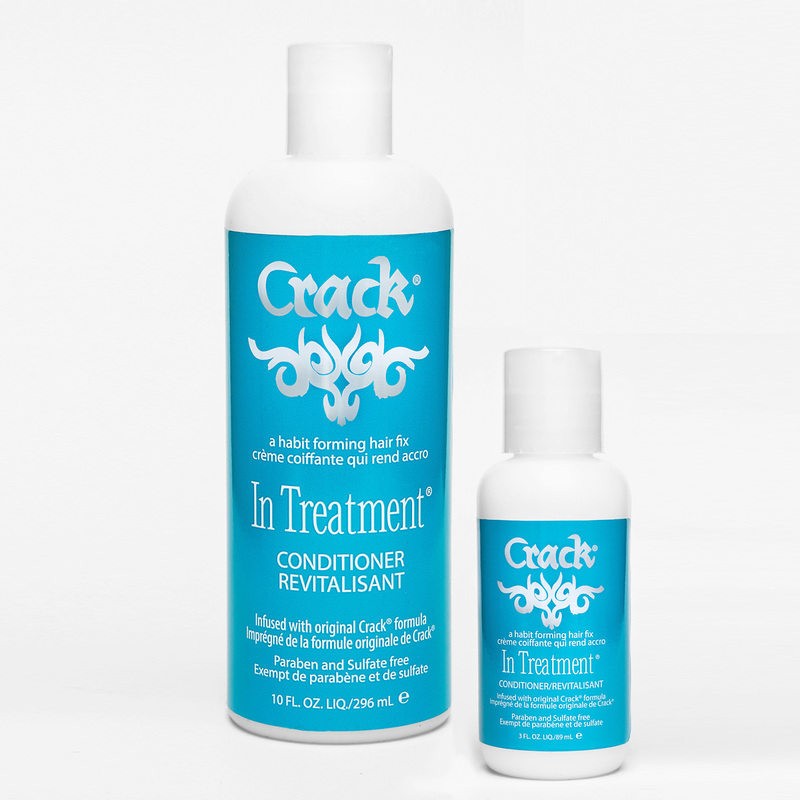 The CRACK formula is a 10-in-1 multi-tasking fix that CUTS BREAKAGE BY 85%, and FRIZZ BY 67%! 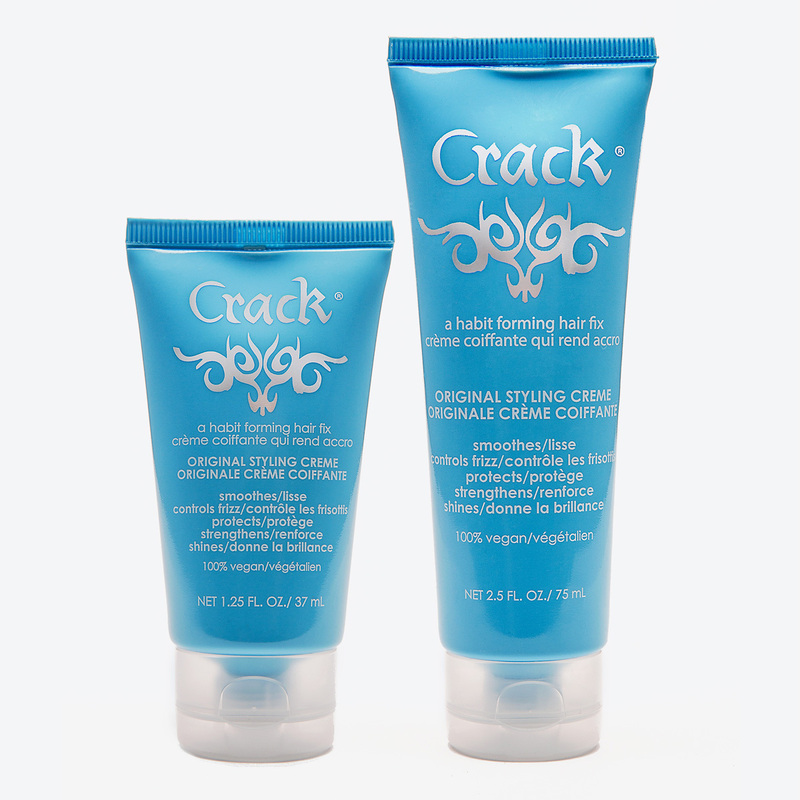 100% vegan and with no "junk"
All Crack Hair Fix products are 100% Vegan, contain no parabens or sulfates and are cruelty free. 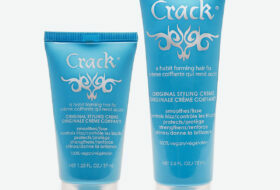 5 Star rated product! 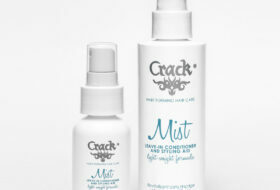 Beauty Launchpad Reader's Choice Award Winner. 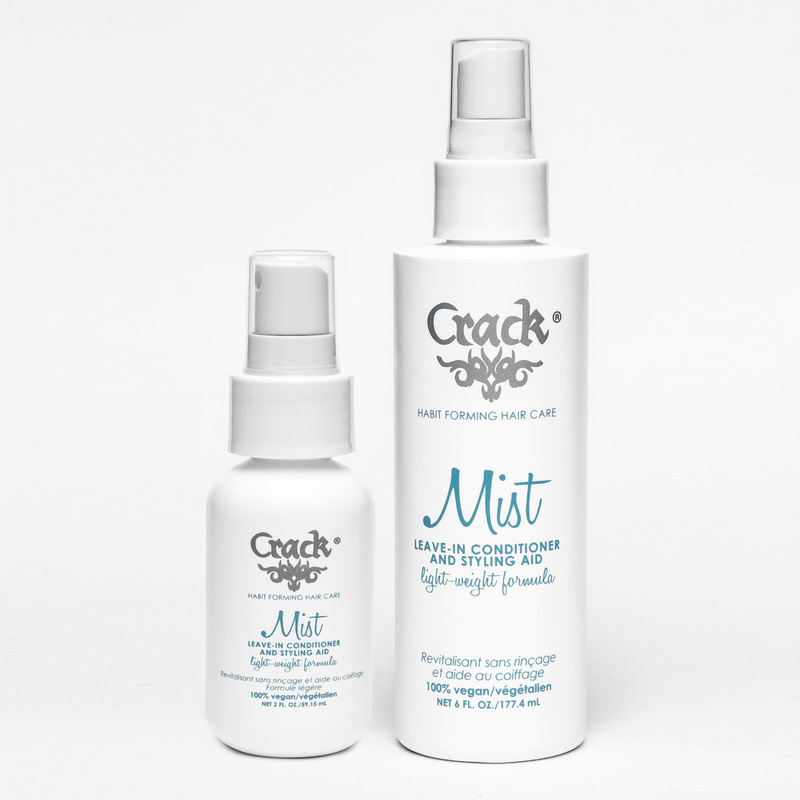 Here's a few of our favorite "must-have's" from CRACK. Hand picked for you! 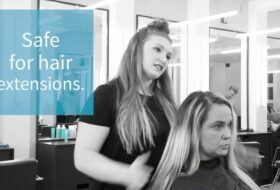 Call us to learn more.